Bloomington, Illinois has devised a five-year plan to address its aging infrastructure with a $50 to $80-million investment. The plan includes a bond for street resurfacing as well as one for storm and sanitary sewer work. 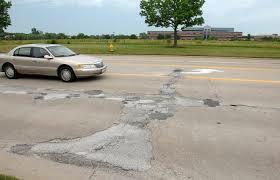 The council approved a $10 million bond in 2013 for street resurfacing, which has now been completed. The city’s public works department has estimated that the total work needed for street repairs is $81 million. Similarly, the city’s sanitary sewer and storm water is estimated to require $137 million over 20 years to maintain and improve these systems. The plan is set to go in front of the city council within the next 60 days and work could begin by 2017 if passed.